I have been working as an on location Sound Recordist for the past 5 years and in that time I have built great working relationships with local, national and international production companies specialising in short and long form drama, television, corporate media and documentaries. In the last 5 years I have become a capable Head Of Department and developed multi-disciplinary skill sets as a Sound Recordist across mixed platforms. 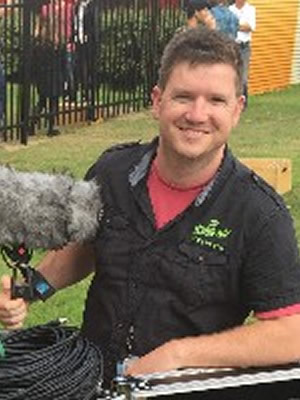 Previous to my career as a Sound Recordist I studied at Murdoch University and completed a Bachelor Degree in Screen Production. I have worked from concept to production on a few critically acclaimed productions including a Discovery Channel documentary and Heston Blumenthal’s Gourmet Escape. I have also worked with local television stations and international production companies including National Geographic, SBS & NITV, Channel 7 and Chevron. I also have experience in teaching location sound and sound theory in various Units at Murdoch University, Edith Cowan University and the Film & Television Institute where I took a very practical and hands on approach to imparting my skills to students. I am passionate, tenacious, ambitious, hard working, personable, outgoing, and detail orientated. Give me a challenge or a tough shoot and I will be able to identify a different approach to a typical sound recording. With my experience I am confident to take on any issues that may arise and able to look at the bigger picture. As a Sound Recordist on your shoot, whether it’s in the bush or in a tiny house in the suburbs, I am confident that my recording experience and skills will produce the best quality sound and contribute to a successful production which you and your clients are seeking.